My businessman friend purchased a lake-front apartment in Bangalore. I'll call him Friend-A. While our group of friends was discussing during our usual weekend get together, this friend of mine happened to break the news. Soon, we started discussing Bangalore property costs, and another friend - I'll call him Friend-B - commented that the price of Rs. 3 Cr. Friend-A paid for the apartment was too high in Bangalore. Friend-B's argument was that he had booked an apartment in Bangalore itself, and he only paid Rs. 90L for it. It was also on lake-front, and had the same carpet area and similar amenities and was from a premium builder. For a moment, Friend-A was baffled. He had already paid up Rs. 1 Cr. and applied for a loan from the bank for Rs. 2 Cr. Had he paid too much? It then dawned on him to ask Friend-B where he had bought his apartment. As it turns out, Friend-B bought his apartment well outside Bangalore city, bordering a village; while Friend-A's apartment was right in the center of the city. That explained the humongous price difference in both apartments, with almost same amenities and features but different locations. You might ask why this discussion is relevant to AAP's exposé of Mr. Modi? We'll get to that. R&B Dept: Dept that handles and regulates roads & land in prime areas. Revenue Dept [Website in Gujarati]: Dept that handles & regulates land in rural/non-urban areas. It is also important to know what is meant by "Development Price". This page gives an idea about price of land development, and why sale price is always higher than the actual price of land. Modi always gave away land to private builders & industrialists at throwaway prices. 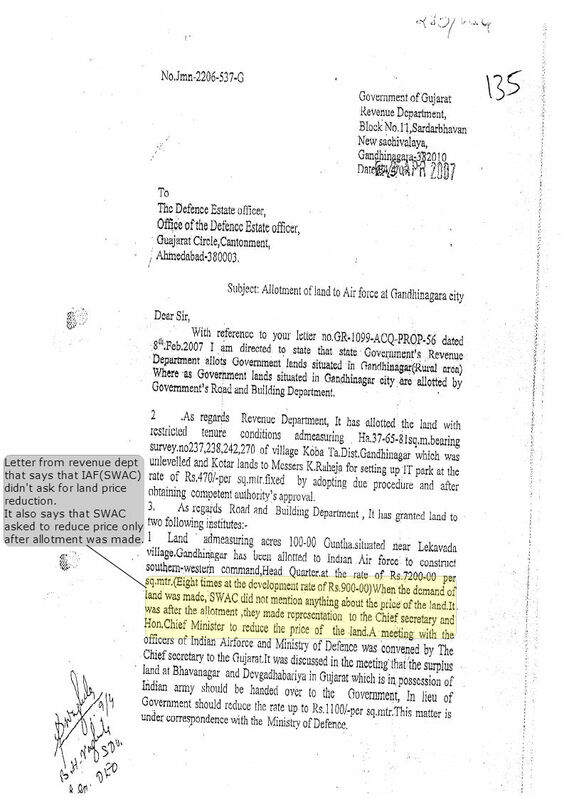 When IAF asked for land, Gujarat govt quoted 8 times the price, and offered at Rs. 8,800/sqm. AAP contended that Modi had no problem colluding with industrialists & businessmen, but when it came to organisation of national interest like the IAF, Modi showed his real face of a corrupt politician. Modi has allotted 14306 acres (roughly 5.67 crore sq meters) of land to Adanis in Kutch area itself. Similarly, Modi has allotted land to Adanis in many other parts of Gujarat at throwaway prices. However, when Indian Air Force asked for land from Modi, IAF was charged 8 times the market rate. IAF was offered 100 acre land at Rs 8800 per sq meter. We'll take a look at area mentioned in the document attached by AAP in their pol-khol page regarding land allotment. AAP pol-khol page compares land allotted in Gandhinagar to IAF for SWAC to land allotted at Kutch for to Adanis "throwaway prices". AAP has compared IAF land allocation with Adani land allocation in Kutch. Kutch is a known desert area. Point A is where Adanis was allotted land and Point B is where SWAC was sold land. The document AAP shared mentions Koba Village where land was given at cheap rate to Rahejas for an IT Park. Since Koba village is in the outskirts of SWAC and Gandhinagar, I would use that as the primary reference. In the following map, point A is where IAF-SWAC is located and point B is where Koba Village is located with an IT Park functioning now (there was no IT park before land was allotted). SWAC is located well within Gandhinagar city and Koba village is atleast 10 kms from SWAC, in a rural area. You can also check the map here. Land rates within Gandhinagar city vary based on the locality, like in any other city. As one moves out of the city and nears villages land rates fall as with any other city. IAF and other industrialists were not allotted land in the same area at different prices. Adanis were allotted land in Kutch while IAF asked for land in Gandhinagar. Land allotted to industries & private builders was rural land, outside municipal limits of Gandhinagar city and therefore was held by Revenue Dept. R&B department held the land that IAF asked for, and it was urban land well within Gandhinagar city limits. In essence, IAF was expecting urban land at the price of rural land. IAF never asked to reduce the price of land until it was allotted by the govt. Only after the allocation was made, they requested CM directly to reduce the price. Communication was sent by Revenue Department to the IAF, citing the reasons why price of rural land cannot be equated to price of urban land. Urban land is never valued at the price of rural land, whoever may be the buyer. In this case, very clearly land that IAF asked fell within city limits and land that was given to industrialists at "throwaway price" fell well outside the city limits - in villages. Land allotted to Adani fell in Kutch, a desert area. Another example mentioned in the documents is of DLF Infocity. But DLF got the land for Rs. 5,000/sqm which was the prevailing rate in that local area, along with additional conditions applied. DLF had to pay full money very next month, failing which they would be charged 18% interest for pending amount. However, in the end IAF got urban prime land of Rs. 8,800/sqm at a price of Rs. 1,100/sqm. So where is the unethical/immoral action of Mr. Modi that AAP is complaining about? Was Gujarat govt. wrong in following the procedures as laid down by law? If Mr. Modi had given land in the same area at a higher price or even same price to IAF than he gave to industrialists at the same time, then he sure was hand-in-glove with industrialists. Even if industrialists wanted urban land from R&B dept, they would have to pay the prevailing market rates in that area, as DLF already did for their IT Park. That is the procedure. Aam Aadmi Party's charges were on the assumption that land prices are uniform everywhere and standard procedure should not be followed in land allocation to defense forces. Recent defense land scams have shown that this is a dangerous idea. If AAP comes to power, will they mark land all over the state/country at the same valuation? Aam Aadmi Party's methods of exposé involve distorting important government communication and hiding key facts from the public. Aam Aadmi Party is a perfect gang of Far-left deception artists & hypnotists who think they can get away by targeting anyone with distorted information. Do we now know why Aam Aadmi Party never files court cases in issues of corruption? No, it is not because they believe in Janata ki Adaalat (People's Court). Real reason is that they know very well that their cases would fall flat on its face in the court, on both law & morality arguments. It's still not over. Part 3 is coming up, in which yet another deception that Aam Aadmi Party unleashed will be exposed. Updated(31/March/2013): Part 3 of Exposé of AAP's Modi exposé published here. Update(18/March/2014): Some people are sending me a report from Forbes Magazine that supposedly implicates Adani & Modi. Before you quote that report and make claims, please read this counter by Kartikeya Tanna in which he presents copies of evidence as to why Forbes report is inaccurate. Author from Forbes is yet to reply to Kartikeya Tanna. an eye-opener for all blind followers of jamaat-e-AAP.keep it going bro,looking forward for your next post. That's what I call clean bowled. This leaves no space for anyone or anyone's supporters to defend themselves, unless they prove otherwise! Thank you.. he was exposed on the day when he sang tunes of secularism.. and Bhushan wanted Kashmir to be separate! Kejrival is an untrustworthy man with a propensity to use others to climb up and then discard them. His ego is king size and scruples peanut sized! Sir, very well said. Unfortunately people do not see through AAP's far left agenda based on failed ideas. AAP followers think that land auction is the best way to sell govt. land without realizing the drawbacks of auction. Gujarat govt. policy is not to make money with land, but to generate employment using land as collateral. Indirect revenue through tax obtained through job creation by forfeiting the land price is much more than what land auction would fetch. AAP & its followers cannot understand this type of revenue generation. It is beyond their comprehension. AAP is a motley ensemble of India apologists, Leftists, senile retired bureaucrats, Human rights (only) for Terrorists wallahs. These idiots are not going to win a single seat in any elections. That said - very succinctly put across. Good job Gunny. Your blog is really helping people to understand the reality. I think AAP stands for Absolute Aimless Party. How can exposing successful and proven public figures be the agenda for a party? Let's expose your this expose of AAP's Modi expose, shall we. AAP claims Modi government gave large areas of Land to Adanies at throwaway prices, but asked IAF 8800 Rs/square meter. Is this wrong? If yes, what specifically is wrong? Moving forward, you go on elaborating pointless stuff about desert land and so on, but haven't proved that Adanies were not given land at throw-away prices. Have you? Did I miss anything? AAP didn't hide anything or lie about anything. You are showing maps and talking about deserts. To what effect? What does it explain? Please clarify. "Modi has allotted 14306 acres (roughly 5.67 crore sq meters) of land to Adanis in Kutch area itself. This land has been transferred to them at rates ranging from Re 1 per sq meter to Rs 32 per sq meter for SEZ. In fact, most of the land has been allotted at less than Rs 10 per sq meter. Most of the land is allotted in Mundhra village, where the market rate is Rs 200 to Rs 315 per sq meter for industrial use and Rs 1000 to Rs 1575 per sq meter for commercial use. If we take Rs 10 per sq meter as the average price at which land has been given to Adanis and if we take Rs 300 per sq meter as the average market price, it means that Modi has given an illegal benefit to Adanis to the tune of Rs 1600 crores." This is exact excerpt from pol khol page. The prevalent prices are mentioned there, aren't they? What have you exposed? What is wrong? 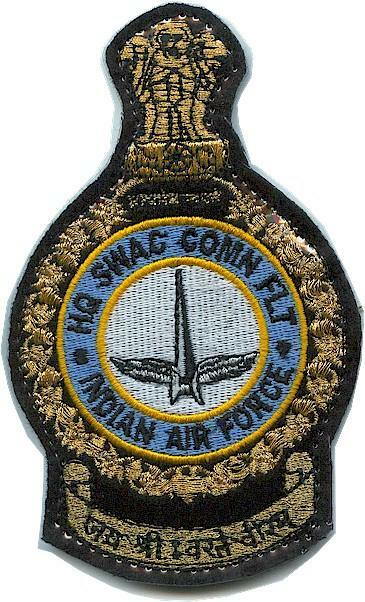 Then you go on and on about IAF, which is pointless. What was corruption AAP alleged? Giving land at throwaway prices or asking too much from IAF? AAP exposed the corruption/collusion between Modi Govt. and Adanies, and compared that to Modi. Govt. 's reluctance to provide land to IAF. Even if Modi government gave 5 star treatement to IAF (which they didn't), the collusion/corruption with Adanis stand. Land cannot be valued at the same price across geographies - no matter who buys it. Land value is determined by market forces, which AAP pretends not to recognize. You don't understand land economics, that's why you're a perfect target for AAP. This Storify link comes with proof, unlike the Forbes article. Good Sir, I do understand all economies, including Land. When you talk about Market Forces, please be aware that the arid useless desert land you are discussing about are very high priced, due to their potential as solar electricity projects. Check 99acres or any other real estate site, if you want. You asume too much, hide more information than accuse AAP itself of, and claim to expose the "truth", but don't respond except in rhetoric. I am perfect target for AAP or not is irrelevant. What' relevant is your claim of exposing AAP. That's what we are here to talk about, and you are not responding to specific well framed questions on your own claims. "Similarly, Modi has allotted land to Adanis in many other parts of Gujarat at throwaway prices. However, when Indian Air Force asked for land from Modi, IAF was charged 8 times the market rate. IAF was offered 100 acre land at Rs 8800 per sq meter." Prove that market price of Adani land and IAF land was same. Gunny, you are copy pasting your own comments. So I repeat again, you are making grand claims of proving or disproving here. The time of asking for clarifications is gone, and now you must defend your grand stand here. Prove it, or declare your claims false/void. you cannot compare rates of dessert land without any amenities and development of 10-15 years back with prevailing rates on 99acrs. does that mean the house that u bought 10-15 years ago was at throwaway price and the builder/govt and u were in hand glove??? I think Kejriwal is not confused on that the land prices are different in Rural and Urban regions. It has been misinterpreted. I think all he is saying is that Adani has been favored and IAF was charged even more than the actual rates. Page 2 of this document (http://internal.aamaadmiparty.org/pressRelease/Adani%20Land%20Allotment.pdf) states that the land allocated to Adani in Mundra is between 1 Re. to 32 Rs. per square meter. However, the page 3 states that the price for land for Industrial land in Mundra is between 200-390 Rs. per square meter. 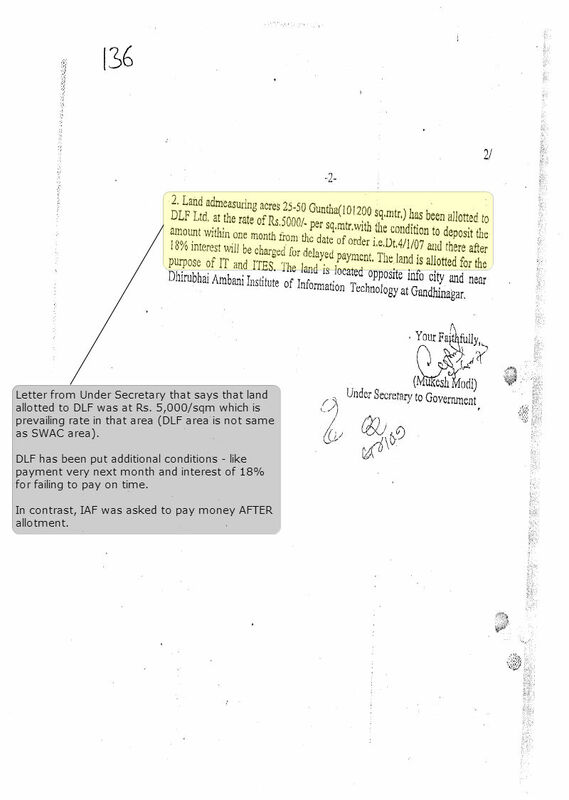 Point 3 of Page 3 and Point 7 of Page 10 of this document (http://internal.aamaadmiparty.org/pressRelease/Air%20Force%20Land%20allotment.pdf) states that IAF was allotted lands at much higher price of 7200 Rs. per square meter than the actual development rates of 900 Rs. per square meter. If IAF had earlier not asked anything about the land price does not mean that government will charge them anything they want. Clearly, the Modi government has favored Adani and I don't see anything wrong with Kejriwal's accusations? Awaiting the comments in response of this. 1. 200-390 is the land price if land is *sold*. Adanis were *leased* the land - fact that AAP hid. 2. Development rate wasn't Rs. 900. It was 900*8 = Rs. 7200. AAP's presentation of allegation was that Army was allotted land at Rs. 7200/sqm and Adani between Rs. 1-32 sqm. Both lands are different, and both have been charged commercial rates to begin with but Army has been given prime land at a throwaway price of Rs. 1100/sqm. Question of favoring Adani doesn't arise because Adanis' port will be transferred back to the govt in 30yrs. It's on BOT lease. Kejriwal's accusations hide key details, and those details are what are published in this blog. 1. Page 1 of this document (http://internal.aamaadmiparty.org/pressRelease/Adani%20Land%20Allotment.pdf) mentions the word "allocated" and NOT "leased". And do you have any proof that the land was leased and not allocated? 2. Point 3 of Page 3 and Point 7 of Page 10 of this document (http://internal.aamaadmiparty.org/pressRelease/Air%20Force%20Land%20allotment.pdf) CLEARLY STATE THAT "DEVELOPMENT RATE IS 900". Where does it say that development rate is 7200? Both points say that IAF was given land at 7200 and NOT 900. 3. IAF was given 1100 rate only after order from Ministry of Defence. If it was at throwaway, why central government had to intervene in the first place? Also, you are now changing the point of your blog which started with Urban vs Rural land prices. So are you convinced that you had made mistake in that part? Development rate is 8 times the sqm rate. 900*8=7200. Development rate is the total value of land. 3. IAF never asked to reduce the value of land before allotment was made. [ http://2.bp.blogspot.com/-Rd5PqtHIiXA/UU1Ft0w5uEI/AAAAAAAADCs/_t-MZl22cxA/s1600/SWAC-land-not-bargained.jpg ] Why would govt reduce the price without being asked? What's wrong in asking for full value of land when land goes to the govt coffers and not to any politician's pocket? I haven't made any mistake. Claims in my blog still stand. NO, as I said that the image in your point 2 says that the development rate is 900 and NOT 7200. 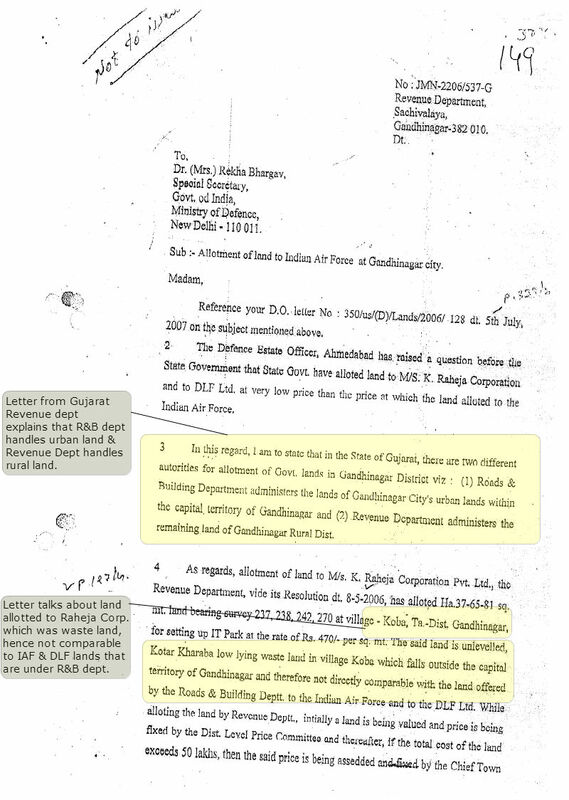 This is also said in point 7 of page 10 of document (http://internal.aamaadmiparty.org/pressRelease/Air%20Force%20Land%20allotment.pdf). PLEASE CAREFULLY READ POINTS. Thus IAF was charged higher rate (opposed to your point 3) and if IAF was not asked for price doesn't mean that Modi government will charge them 8 times. Regarding your point 1, let me completely read your that blog, I will reply after that. Do you know what is development rate, in what areas it is collected and for what purpose it's collected for? Only if you know answer to these questions is there a point in discussing with you. What's the figure of Rs. 7200 in the link you've attached? What's the figure of Rs. 900? How did Rs. 900 suddenly jump to Rs. 7200? What's meant by 7200 at 8 times development rate of 900? Find answers to these questions and then we can discuss. Mr.Udaya Maurya,Can you please share your email ID here. I have to ask you something important about the matter under discussion here. During campaigning for delhi assembly elections, kejriwal demonstrated by blowing air into water meter & said that these meters are faulty as they give reading even for air, so sheila dixit is corrupt. (shiela dixit is obviously corrupt), but meter was not faulty at all, it will give readings if even oil, petrol, or any other fluid flows through it. Only technical people like engineers (electronics, electrical etc.) can understand water meter working principal. The ISSUE is KEJRIWAL HIMSELF IS AN ENGINEER from IIT & he is surely aware of these facts. Bas wo waise logo ko ullu bana raha tha jo kam educated ho ya ARTS/COMMERCE/MEDICAL field se ho. his motives are not correct. The above explanation is full of lies. Let me add, when Dahej can be developed by congress goverment in late 90's and early 2000-2003 and bring so much wealth to the state, why Mr Modi did not learn the less and do the same for Adani port's 7000 hectare lands, instead gave dirt cheap land + government loan tax free , interest free, only for Adani to enjoy the 100% value addition on land, while state got nothing, except some loans returned without interest and no taxes. Actually the taxl, land price valuation and interst on loan was paid to BJP's to fund elections and buying MP's and media, during 2014 and previous elections. Can Gujrat government prepare a statement of cost and benefit on funds spent on adani's Port side development and similar cheap land deals by Modi government? I'll be glad though if some one can give true evidence to proove the above wrong? I'm a BJPian too but till 2014 only, cant compare Atal Advani's Country's love to Modi's loot.